Resuming the Google Gear series (although i’ve been really bad about getting new stuff since moving over to YouTube). 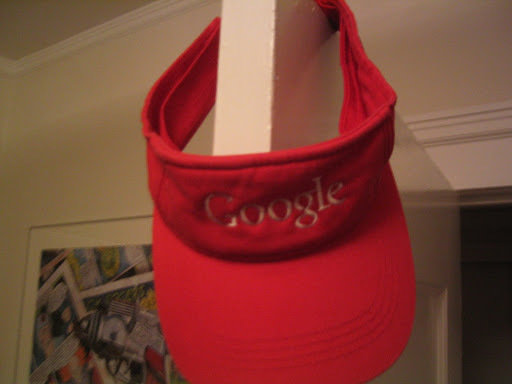 I think this visor was from Summer 05 picnic. Available in your standard Google colors.